When we are young, of us dream of marrying our soul mate. Man or woman, I believe all of us are searching for a love to complete us, from the moment we enter this world. Over time, the world hardens us. We wear an outer shell, afraid to let anyone in, especially if we’ve been rejected of love, whether it was by a first crush or a parent. Some of us shut down completely, afraid to let anyone in for the chance of getting heartbroken once again. Then there’s some of us who pursue love, diligently, believing that once we find our true love, everything will be okay. We somehow convince ourselves that once we settle down, get married, and have a family that the longing for something more will go away. But still yet, there remains a God-size hole that not even the best spouse on this planet can fill. The myth about marriage that there is someone, anyone other than God who can make you whole. You’ve been searching your whole life, aching for a soul mate then someone comes along tells you that not even the person God has for you will fill it. But here’s the good news, you don’t have to wait until marriage to be fulfilled. The only person who can fill that God-hole in your heart is Jesus. There’s a reason that whole is “God-sized,” because no human to ever exist can fill it. It’s an ache for someone more, something way beyond ourselves. It’s a divine love were searching for. How do we obtain that fullness? Fall in love with Jesus. There is a woman who is very close to my heart. She grew up in a home where she was both physically and verbally abused. Her father was a drunk and she was raped multiple times by different family members. She resorted to the world to fill her aching heart. She spent her time sleeping with man after man, experimenting with new drug after drug, and still she remained a broken mess. Then she got pregnant at 19, something she hadn’t planned on happening. She was a good mother. She loved her daughter, she came to know a love that she couldn’t explain when she had a little girl. She loved her the best way she knew how. But her daughter couldn’t fill her. Later on she got married. She married a good man who loved her and wanted to take care of her. Things were fine for a while, but soon she started feeling empty again. Their marriage took a turn for the worst and she had an affair. Her husband couldn’t fill her. Her world started spinning out of control. She went back to the life she once knew, hoping to find some kind of drug or love that would fill her heart. She soon realized her lover couldn’t even fill her. As a young girl, she was taught that God’s love for her was conditional. She believed if she didn’t wear a dress or sinned in anyway, she was on the highway to hell. That’s quite the standard to live up too, trying to earn God’s grace by our works, it was just too much for her to live up too, even if she wanted too. To this day I still pray for that woman. She means more to me than she knows, and I hope that someday, she truly learns to understand that the one thing she is searching for so diligently is Jesus. Oh, how he loves us. He is jealous for us. He longs to woo and romance our hearts, but so often we keep our hearts away from the most genuine form of love there is, denying our existence as sons and daughters of God. I’ll never forget the day I married the love of my life. I knew this was the man God had for me. A few years later I found myself at a place where I was distant from the Lord. We had been hurt to the core of our beings. We didn’t understand why God allowed so much heartache to enter our lives. 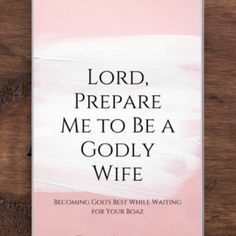 I had convinced myself things would be perfect after I found my Boaz. But I quickly found out hell will fight you tooth and nail when you are in the will of God. I found myself lacking peace. There was something missing. I had taken God off of the throne of my heart and placed my husband there. I had forsook the very one who gave me this wonderful man of God. I forgot the source of my joy and peace. My heart broke. I didn’t realize how far my heart had come from my Lord. I repented and prayed for God to help me keep Him at the center of my heart, and at the center of our marriage. My husband has been so good to me. He has loved me unconditionally, and God has used him to bring healing to me from my childhood in ways I can’t even explain. I love my husband today just as much if not more than the day we got married. But he isn’t my God. While I receive so much joy and peace from my relationship with Kevin, my ultimate source is Jesus Christ. Friends, if your heart feels as though it is lacking something, I encourage you to get alone with God and pray, even if that’s something you’ve never done before. You can have everything in this world, but if you lack that sole intimacy with Abba, you will find yourself feeling empty. God is calling you into a passionate romance with himself. He has set you apart. 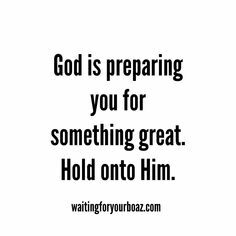 He has lovely things awaiting you in your future. He will bring your Boaz into your life, or your Ruth. But first, establish who you are in Him. Find your worth in Jesus, not in the things of this world. You can have the perfect children, a steady bank account, and the best spouse in the world and still feel incomplete. Our souls were created in the image of God and long for something beyond this world. If you are reading this in tears, that is God calling your heart. If you’d like to be saved or renew your life, you can say this prayer. I love you all. I pray for you daily. If you have any prayer requests, the best way to contact me is on Facebook . Love you beautiful people of God. Share this with someone who needs to read it! Thank you for sharing this. I was moved. I am getting married and I had the same feeling at some point in our relationship. Yes, you’re right – only God can fill the emptiness in our hearts. Only God can satisfy our soul. No one could ever love us the way God does. This message brought me to my knees. I ask God for forgiveness for forsaking him- my first love! Thanks, for this message it was very helpful. Your blog’s have truly been a blessing to me thus far; it is to the point that they are now apart of my daily devotions. 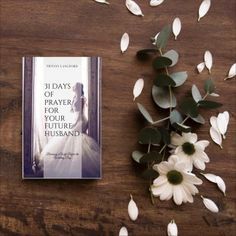 I can’t wait for the free e-book on praying for my future husband. Thank you and thank God for all that He has been laying on your heart to write. The Lord’s peace and love to you and your family. Thank you so much that’s exactly how I feel… Am going back to God to fill me up..
That was helpful. Due to childhood hurts and even a couple rejections from crushes, I’ve shut down and not allowed people to get close to me. I’m realizing I need to surrender my control to God, otherwise I am cheating myself by missing His blessings. Thanks.